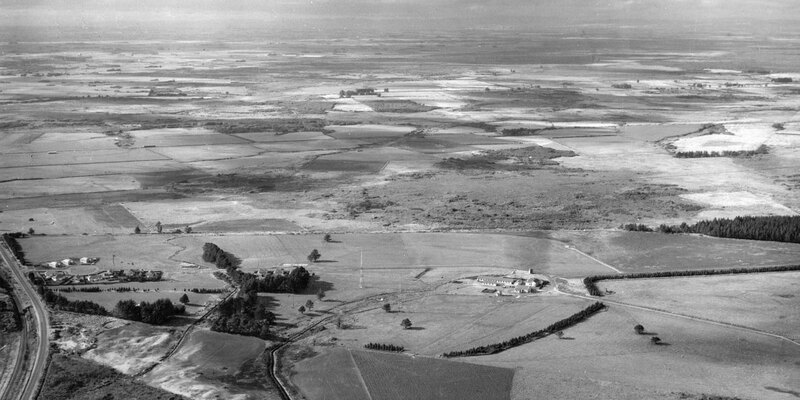 Original 1913 buildings at Awarua Radio, seen in the early 1950s before additional housing was built at left of photo. Superintendent’s and Faass residences visible. Receiving station (built in the 1940s) in the distance. 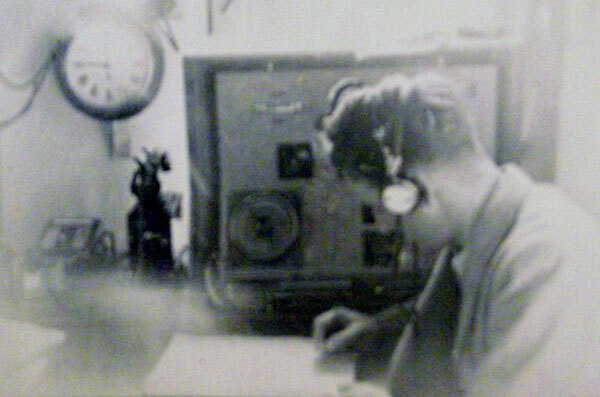 Joe Collett operating 500kHz morse code in 1950. Joe served as manager of Awarua Radio 1981-1985. 1950: Recommencement of copying epidemiological bulletins from Geneva. 1951: Campbell Island and Kermadec Island now manned by CAA and communication by r/t with Wellington. 1952: Macquarie Island VJM commences. 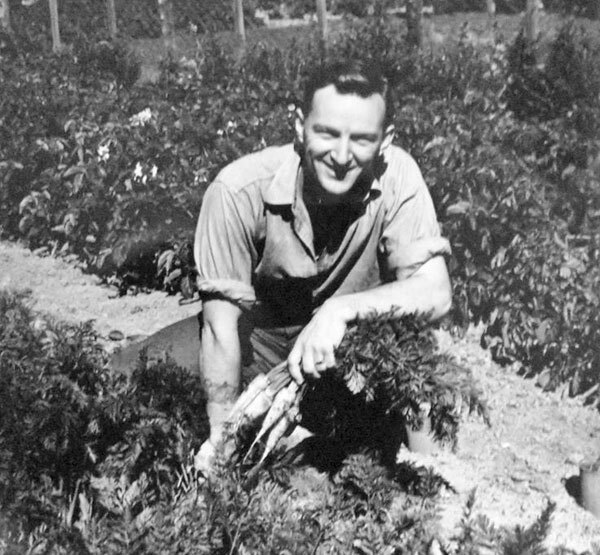 Government approves development of station grounds and surrounding land as a farm, due to efforts of WA Wallace through the MP for Awarua, GR Herron. 1953: Three additional residences built for staff. 1954: Superintendent WA Wallace retired and replaced by J Houlihan. 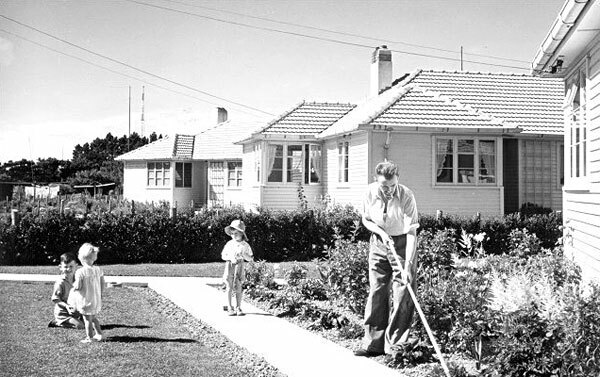 I found the above photograph particularly interesting with the “new” Awarua Receiving Station in the back ground. Note the different coloured roofing iron on the right side of the building. This is an add-on to the station which wasn’t there when you compare photographs taken in 1940-1941 when the station was built. 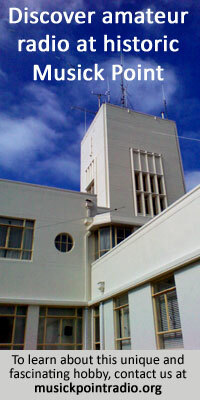 Awarua Radio c1955-1960 looking east. The new staff housing is beside the Invercargill-Bluff highway on the left with the original station buildings grouped in an open area near the centre of the picture. Between them, and sheltered by large trees, are the three original staff cottages. The purpose-built receiving office (RO) added in 1940 is off the picture to the right along a road hidden from view by a line of small trees. The road heading diagonally down to the lower right leads to the relatively isolated HFDF building. Photo: Whites Aviation. Click to enlarge. 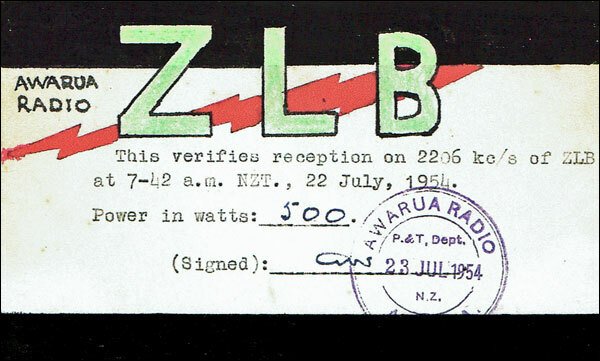 QSL card confirming reception of Awarua Radio ZLB on 22 July 1954. From the collection of Brian Webb who hand-drew cards such as these, then sent them to stations for verification. 1955: Lands End Radio logged on 2182 kc/s QSA 3/4. Farm manager’s house built. JU Bonisch replaces J Houlihan as Senior Supervisor. 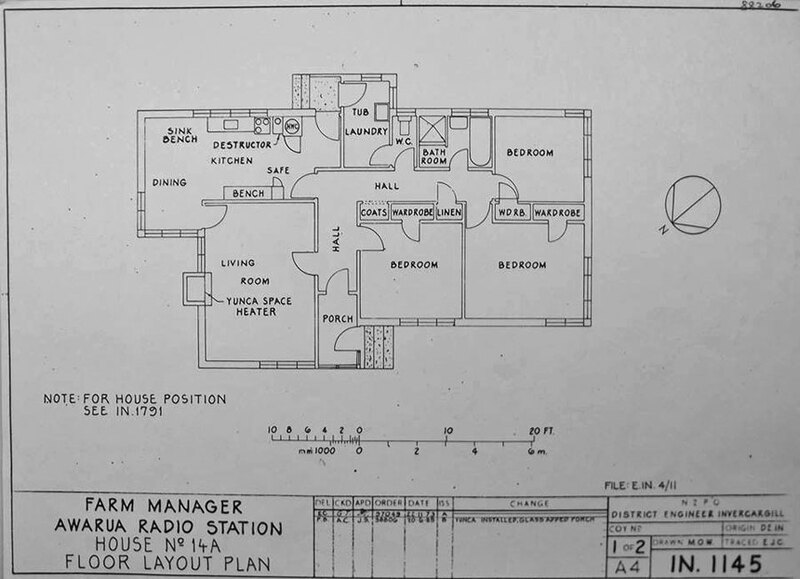 Plan of the farm manager’s house, built in 1955, at Awarua Radio. Click to enlarge. 1956: Scott Base (Antarctica) opened and communication established with Awarua. 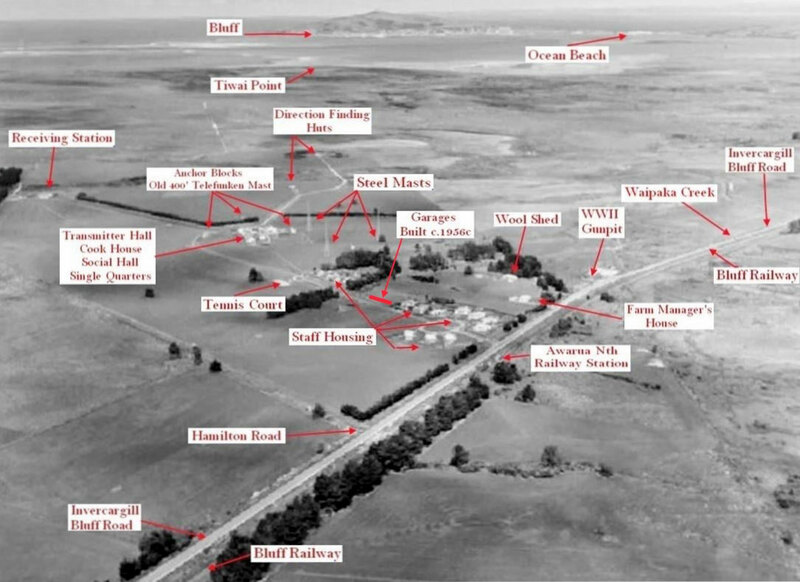 Awarua Radio in 1956, with labels by Alex Glennie. Click to enlarge. 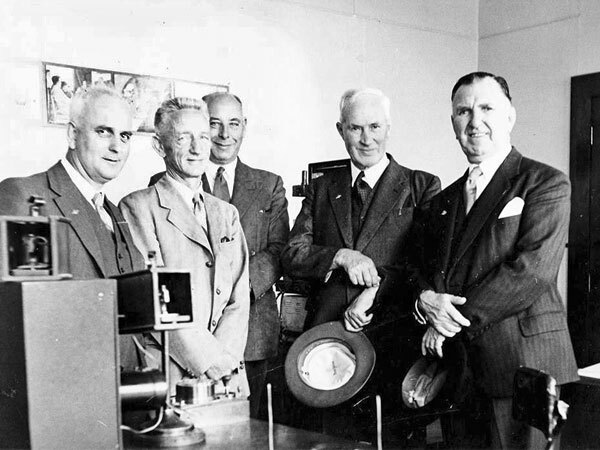 1957: IGY (International Geophysical Year) team installed at Awarua. JU Bonisch promoted to Superintendent, Auckland Radio. PJ Columb promoted to Senior Supervisor Awarua Radio. Daily communication with Hallett Station (Antarctica) commenced. Technical staff from Awarua Radio visiting Dog Island in the 1950s, photographed with lighthouse keepers and children. 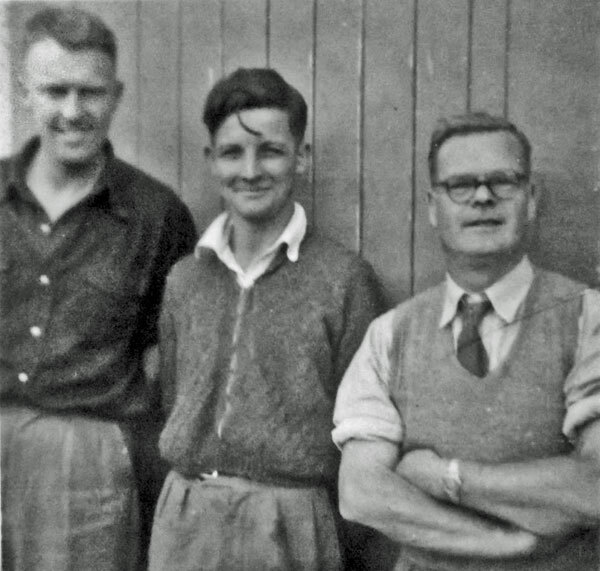 Ernie Hancock is in the centre holding children and to his right is rigger Cyril Mincher (wearing hat). 1958: J Houlihan retired and was replaced by JU Bonisch. Farm management taken over by Lands & Survey Department. Radiotelephone service between Milford Sound and Awarua linked with toll system. AH Greaney retired. 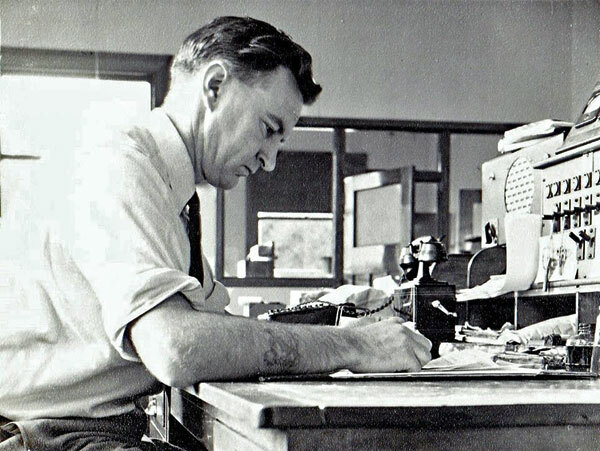 Syd Faass, telegraphist at Awarua Radio from 1942 to 1962. Photo probably late 1950s. 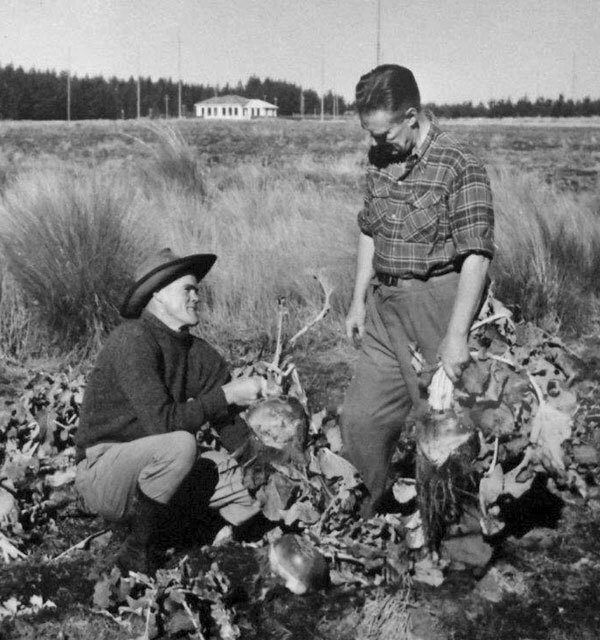 1959: Epidemiological Bulletin Service ceased, as did communication with Hallett Station.